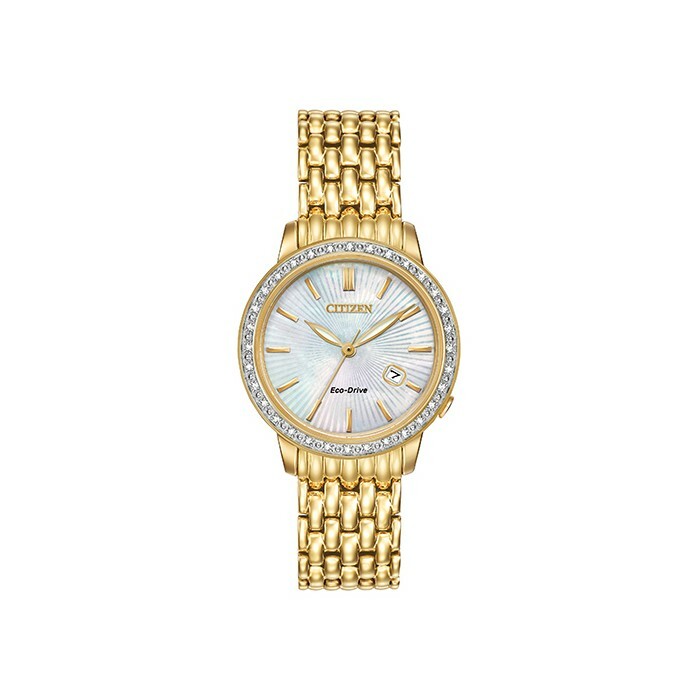 An elegant day or night ladies&apos; Citizen diamond set Silhouette Eco-Drive watch. 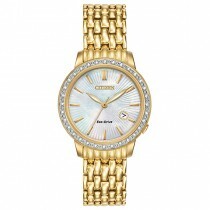 Featuring a mineral crystal glass with a mother of pearl dial surrounded by 32 diamonds set into the bezel. A gold plated stainless steel bracelet fitted with a secure push button deployment clasp. Case size approximately 29mm. Three hand with date. Splash resistant. 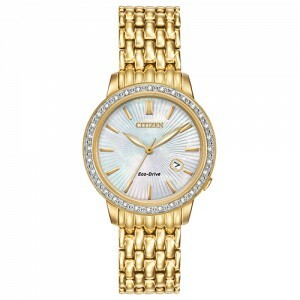 Supplied with a Citizen UK 5 year guarantee (covers material and manufacturing defects) and a Citizen presentation box.